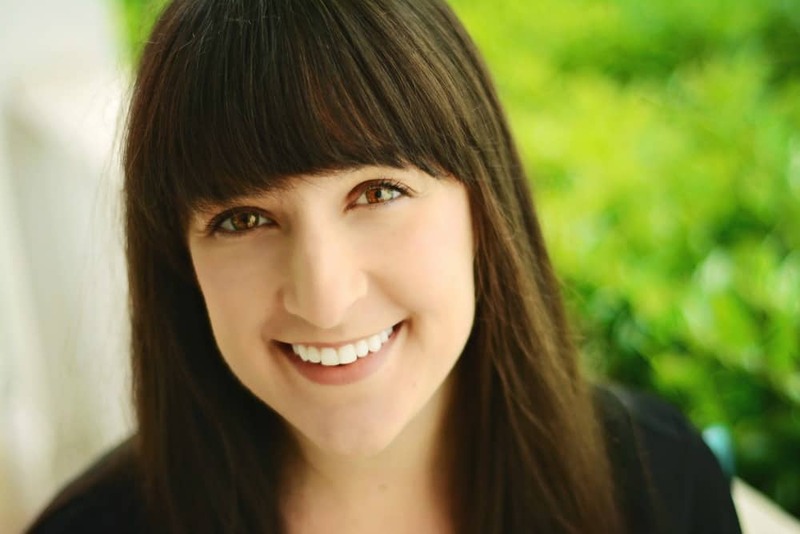 September 26, 2018 By Liz 14 Comments Note: This post may contain affiliate links. When I became a vegetarian 10 years ago, MorningStar Farms spicy black bean burgers were a staple for me. It wasn’t long before the rest of my family discovered how delicious they are and started eating them as well. These days, when we’re grilling out, my mom and my grandma usually opt for a black bean burger with me! MorningStar Farms recently released these new Quarter Pound Veggie Burgers, so I couldn’t wait to try them! 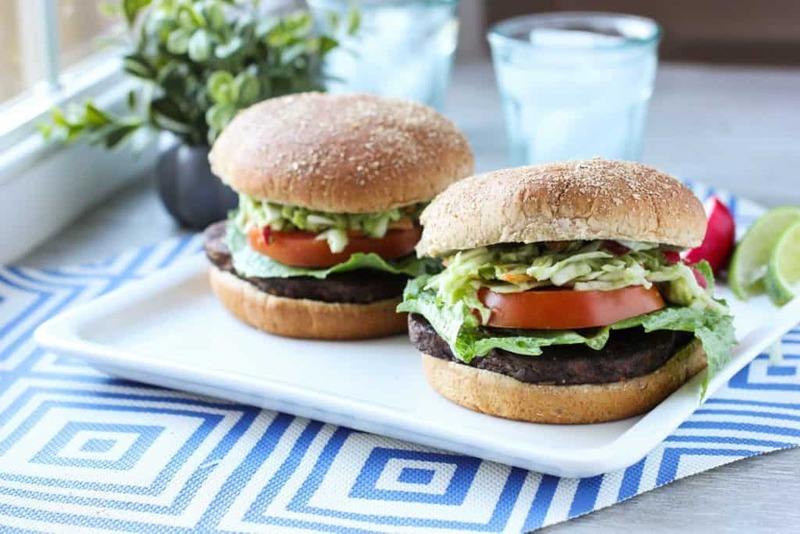 These burgers are just as delicious as my beloved spicy black bean burgers but they’re way bigger! Each quarter pound burger is perfectly seasoned and packs each bite with plant-based protein and tasty veggies! 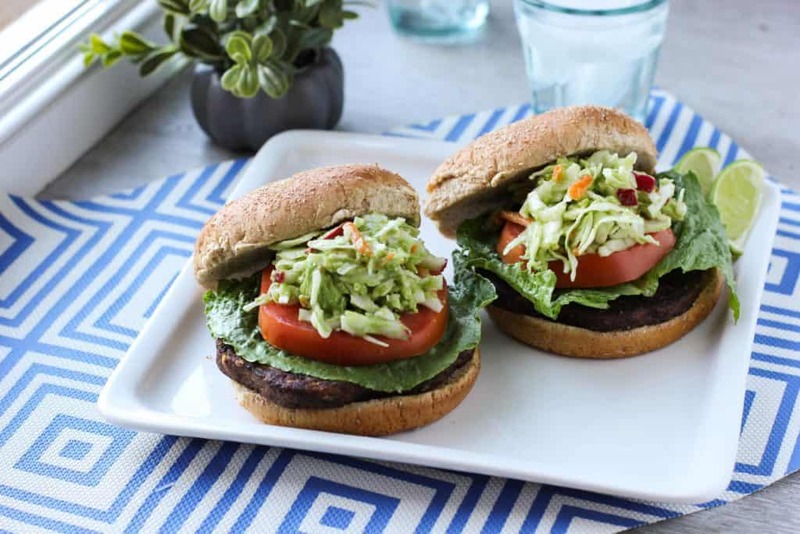 Whether it’s Meatless Monday, a barbeque, or kicking off football tailgating season, these burgers are a winner! I decided to take these to the next level by topping them with a creamy avocado slaw. It pairs perfectly with this burger and it gives you a nice little crunch! Veggies on veggies? Always a good idea. 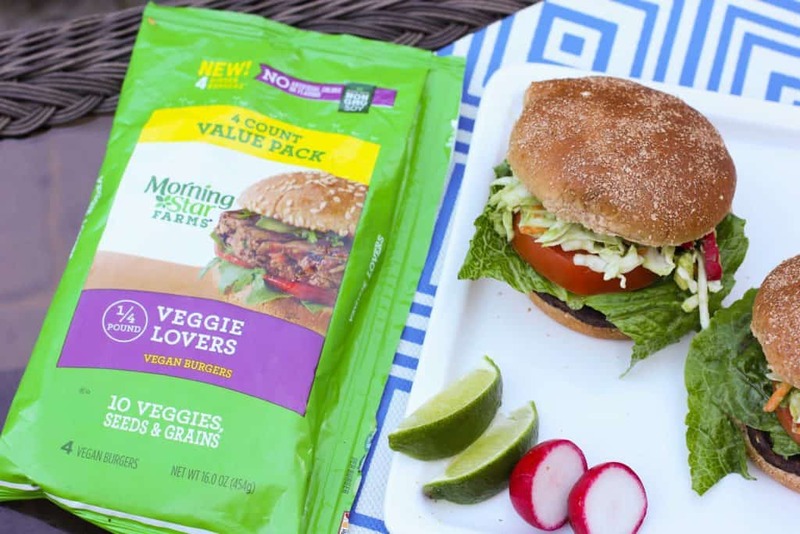 Whether it’s a barbecue or a tailgate, these MorningStar Farms quarter pound veggie burgers are a delicious alternative to your standard burgers. Loaded with veggies and plant-based protein, even a meat eater would enjoy these! In a large bowl, mash the avocado with the lime juice, cumin, and chili powder. Stir in the cabbage mix and stir until coated with the avocado. On a grill or grill pan, cook the burgers for 7-8 minutes on each side, until browned and crispy. 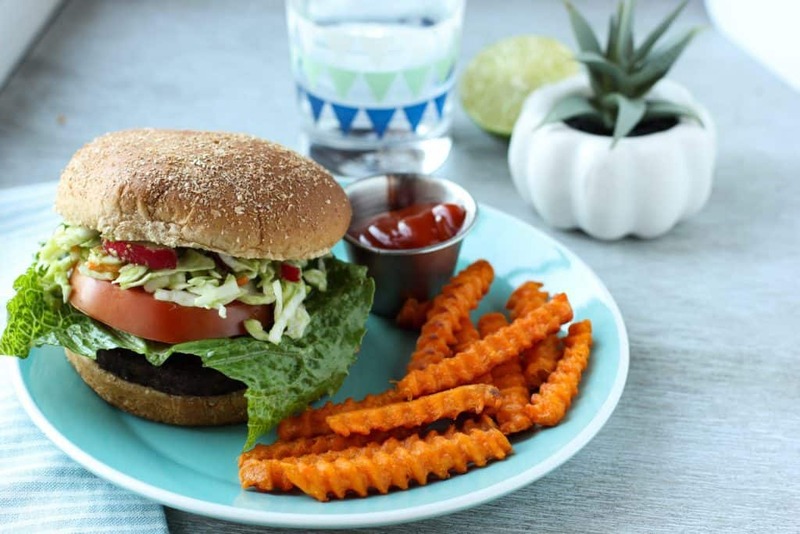 Add a burger, a slice of tomato, leaf of lettuce and ½ cup slaw mix to each bun and serve immediately. These burgers are pretty big so I had to buy extra large buns for them to fit! I love that these burgers don’t have artificial ingredients and they’re made with non-GMO soy. 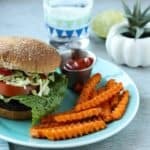 These burgers are also easy to find- I actually picked up mine at Walmart! They’re packed with 12 different veggies, 2 seeds & 2 grains, plus 10 grams of plant based protein! 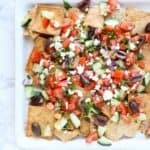 As tailgating season is picking up, it’s nice to have a vegetarian option that even meat-eaters would enjoy. Save some room on the grill for these burgers! Life has been kind of crazy lately so I’ve been loving online grocery ordering. I placed my order in the morning and picked up my groceries in the afternoon! Walmart actually has free online grocery pick up and the whole process is pretty seamless. My groceries were literally being brought out to my car as I pulled in. It saves SO much time! If you’re on the lookout for these burgers, you just might see MorningStar Farms Burger Bar Truck! It will be driving around to visit Walmart stores around the country, click below to see if they are coming to a Walmart near you! What’s your favorite burger topping? great! 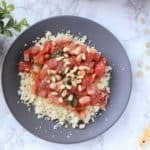 it’s meatless Mondays every day in our home and sometimes I run out of easy ideas. These are so quick and easy! I’ve loved MorningStar farms for years! Yumm these look so good! 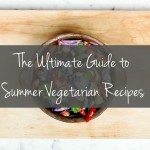 I’m always looking for new ways to top veggie burgers. P.S. Do you have any Richmond recommendations? I have SO many Richmond recommendations!! Stella’s for the best Greek food ever. Little Nickel for an amazing mix of sandwiches & salads (you gotta get the halloumi fries). The Daily for healthier stuff. Don’t Look Back for delicious tacos. I hope that helps! Shoot me an email if you want more recommendations!! I love it! These burger look really filling too! I’ll just add some jalapenos and maybe avocado. thank you! Ohh some jalapeños would be great on there! I could just dig into that slaw on its own! So yummy looking!!! A burger is just not a burger without some kind of pickle or tomato! I love Morningstar burgers – and topped with tha slaw I bet they are extra delicious! I love trying out different types of burgers. 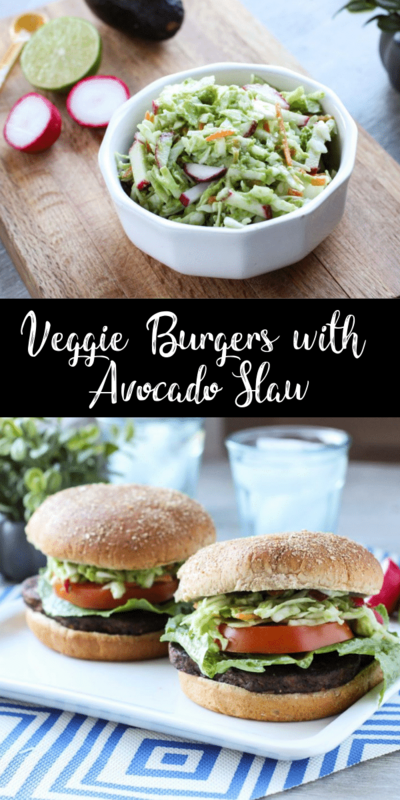 These veggie burgers sound delicious especially with the avocado slaw! Love that they are free from artificial ingredients too. I wish we could find these burgers here in Italy. They sound really tasty and healthy. I’m not vegetarian but I do like veggie burgers! 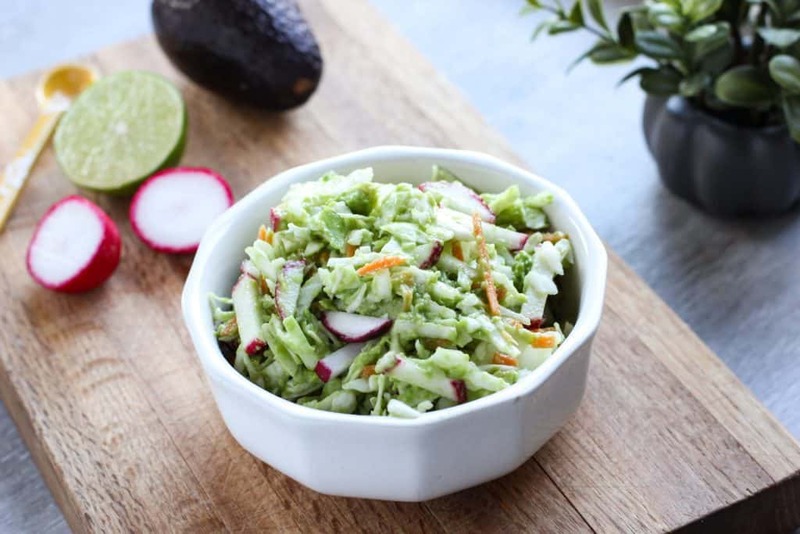 That avocado slaw looks great. Want to try that! 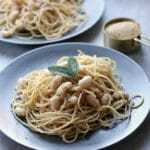 What a great idea for lunch. I bet those flavors are amazing! Cannot wait to try this! Love!